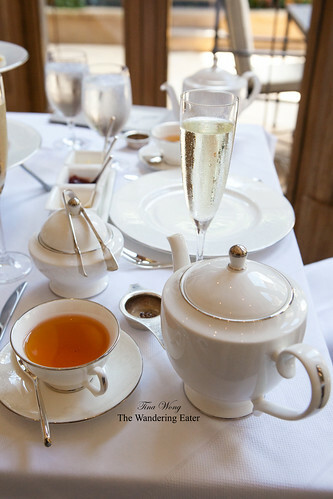 Afternoon tea at The Mary Cassatt Tea Room in the Rittenhouse Hotel was the best afternoon tea experience I ever had. 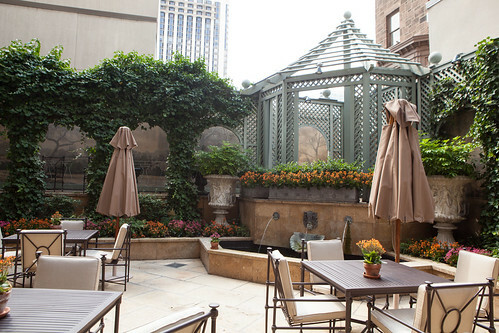 Even New York City’s various hotel afternoon teas pales in comparison to the Rittenhouse! It’s a bold statement that I would attest to. 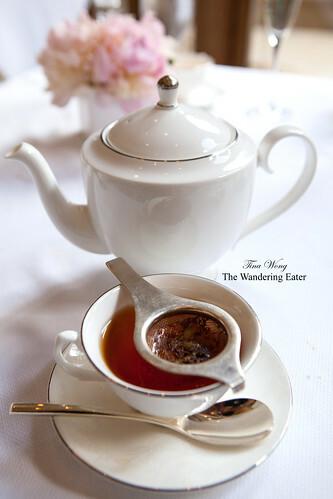 Everything was superlative from the warm greetings from the host and hostesses when we arrived, service throughout tea, the food was freshly made on premises, and the tea room is prim yet very comfortable. 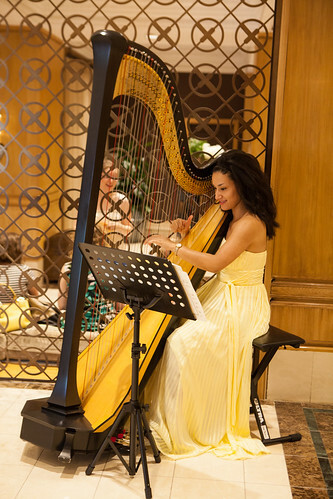 There’s also a lovely, young harpist playing adjacent to the tea room. 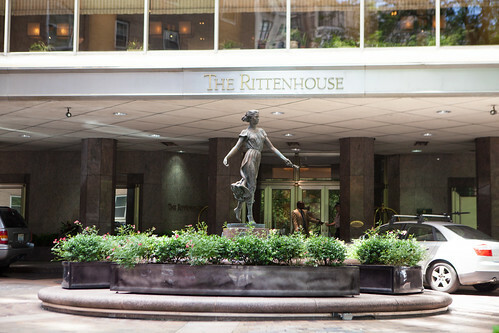 The Rittenhouse Hotel is a prestigious, luxurious five-diamond property in the Center City neighborhood of Philadelphia. 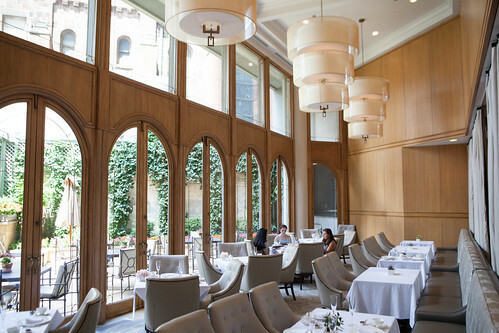 It has a unique historic charm and residential ambiance of Rittenhouse Square. It is among the most important architecturally, with a strong Beaux Arts influence represented best by the work of Paul Philippe Cret. The same man who is responsible for the Rodin Museum at the Philadelphia Museum of Art as well as the redesign of Rittenhouse Square Park. 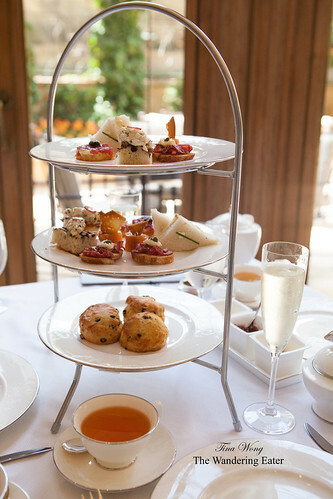 Signature Afternoon Tea is $49 per person that includes a selection miniature savory canapés, tea sandwiches, pastries, and petit fours with a choice of tea. 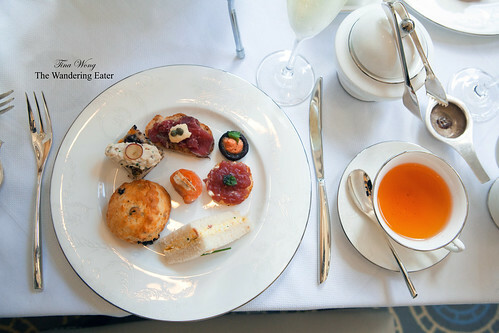 We went beyond the set tea and tried everything on the food menu on separate tiers. 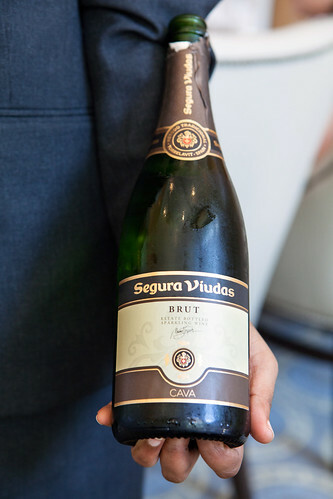 Meaning, we had our savory tiers first and followed by a dessert tier with a side plate of petit fours and glasses of Segura Viudas Brut Reserva Cava. Yes, we were ballin’. 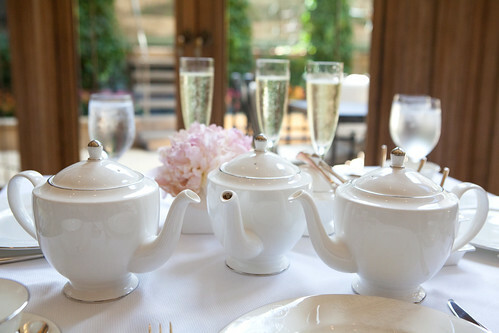 When our pots of tea arrived and still need time to steep, our waiter filled our Champagne flutes with Segura Viudas Brut Reserva Cava to drink along with our teas and food. This sparkler was crisp, not too dry or sweet, with notes of lemon zest and green apples, and it has a distinct yeasty aroma. 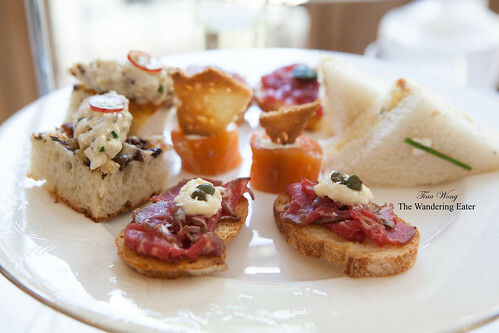 Our first tower of savory canapés and tea sandwiches were delicious. 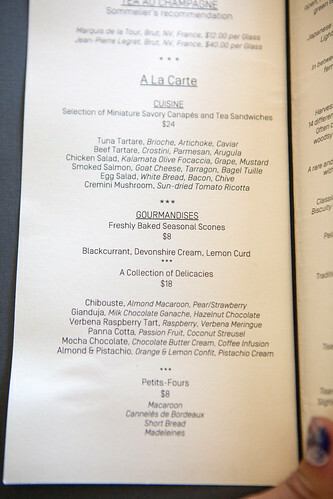 The tuna tartare, artichoke, caviar, topped on a slice of toasted brioche and beef tartare crostini with Parmesan and arugula were our favorites of the savory items. The tartare was perfectly seasoned and briny from the artichoke and caviar. The beef tartare was more like a tataki, briefly seared and sliced tissue thin, the Parmesan cream and capers gave it enough seasoning. The chicken salad, Kalamata olive, grape, mustard on foccacia was creative and one of my friends adored how fresh and fluffy the olive focaccia was. The smoked salmon, goat cheese, tarragon on bagel tuile and egg salad, bacon, chive tea sandwiches were tasty. The most notable thing on the egg salad tea sandwiches were the fact the bread wasn’t soggy at all and we were informed that these were made to order. 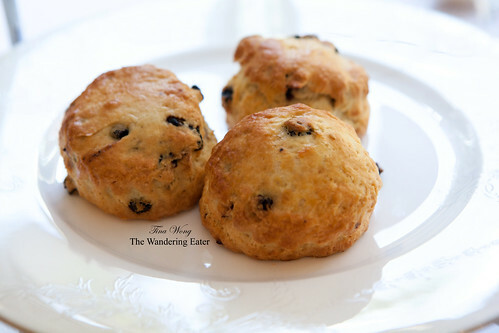 There were fresh baked blueberry scones on the lowest tier of the savory canapés and they were still warm when we ate it. It was perfectly crumbly, the crumb was fluffy and its accompaniments of not-too-sweet in-house made strawberry preserves, rich clotted cream, and creamy lemon curd that was our favorite, as it’s balanced with enough acid. 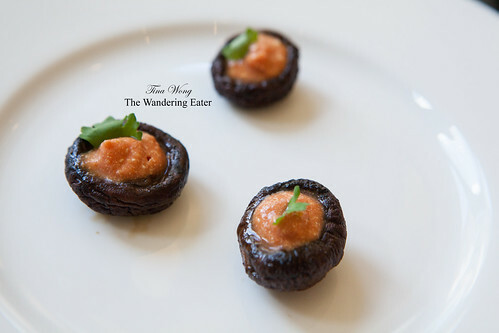 We did have cremini mushrooms with sun-dried tomato ricotta which were fine but one-noted. 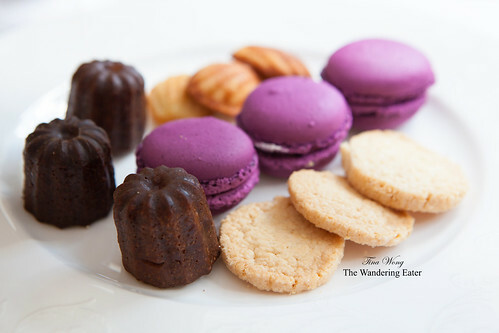 As for our dessert portion of afternoon tea, our platter of petit fours consisting of miniature canelés, blueberry macarons, madelines, and butter shortbread cookies were fantastic, especially the madelines and delicately brittle, buttery shortbread cookies. The pastries that included cake slices of mocha chocolate, chocolate buttercream layered with yellow cake, gianduja chocolate tart, verbena raspberry tart topped with fresh raspberry and toasted verbena meringue were all very good and liked that the cake itself or the tart bases were all fresh and crisp (for the tarts). The almond & pistachio, orange & lemon confit, pistachio cream set on a moist, almond-y cake that’s shaped like a miniature canelé was interesting (in a good way). 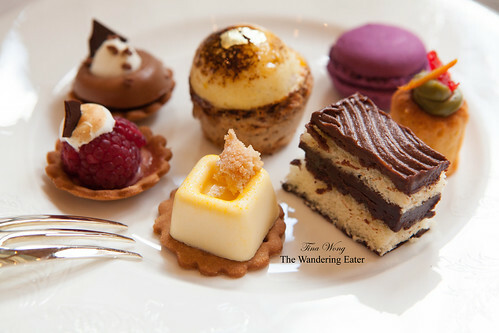 The most complex was the chiboust on an almond macaroon filled with pear and strawberry and the passion fruit panna cotta with coconut streusel on a buttery cookie base was a favorite from the pronounced, tart passion fruit that melded wonderfully with the coconut streusel. 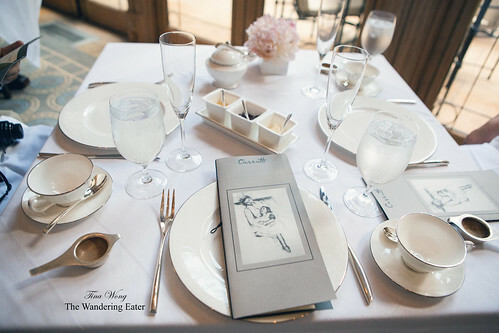 If you want some civilized, pampered tranquility and relaxation from your sightseeing and shopping, having afternoon tea at the Mary Cassatt Tea Room in The Rittenhouse Hotel is your best bet. 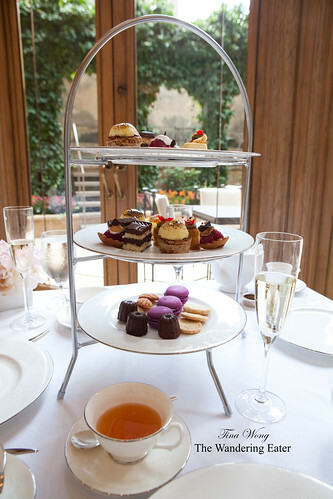 Afternoon tea is served daily from 2:00 PM to 5:00 PM.